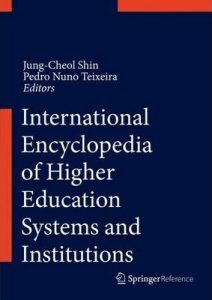 Kwiek and Szadkowski on the Polish system for a new Springer "International Encyclopedia of Higher Education Systems and Institutions"
Marek Kwiek and Krystian Szadkowski have just published a chapter on the Polish system in a new International Encyclopedia of Higher Education Systems and Institutions ed. by Jung-Cheol Shin and Pedro Nuno Teixeira (Dordrecht: Springer, 2018, pp. 1-9). The chapter is available from Research Gate – or from SpringerLink: https://link.springer.com/referenceworkentry/10.1007/978-94-017-9553-1_375-1. The changes in society and economy in Poland in the last two decades have been as fundamental as the changes in higher education. The growth in the proportion of the population with completed higher education programs, as illustrated by the difference between 25-34 year olds (43 % in 2015) and 55-64 year olds (14 %) was the most substantial change brought about by the development of the Polish higher education system following 1989. This substantial generational difference in qualification levels shows the scale of change in tertiary educational opportunities between the communist era of the 1980s and the massification era in the post-1989 period. In this chapter, we use a demographics-induced massification trend as the main point of reference for understanding the most important phenomena that shaped the higher education system and its institutions (governance, funding and the academic profession). The rise and fall of student enrolments within the system is thus a background for the two fundamental dynamics (a) from privatization to de-privatization; and (b) from de-institutionalization to re-institutionalization of the research mission of Polish higher education.